This list of companies, organizations, and notable individuals is now over 1,000 strong. Share this page and show our strength. 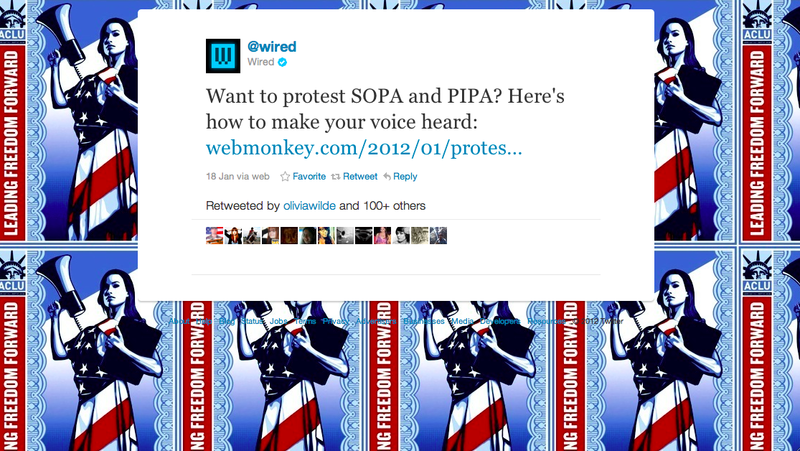 If you oppose SOPA and PIPA and want to take action, please consider contacting Congress. For a list of letters to Congress, press, and blog posts opposing SOPA, click here. Amazon, eBay, IAC, PayPal, Bloomberg, Yahoo! Darrin Burger, InfoRelay Online Systems Inc.
Michael Caputa, Web Results, Inc.
Sean Charnock, SoftLayer Technologies, Inc.
Byron Clarke, CCF Consulting, Inc.
Aaron Fitzell Aaron, Fitzell IT & Web Design Inc.
Samuel Fleitman, SoftLayer Technologies, Inc.
Jacob Friedman, InfoRelay Online Systems Inc.
Suzy Fulton, SoftLayer Technologies, Inc.
Haralds Jass, Superb Internet Corp.
Zenon Kazienko, Budget Host Canada Inc.
Thomas Leo, Web Hosting Inc.